Use this framework to assess whether an article displays bias – and whether or not bias gets in the way of accurate reporting. Looking to discredit a story? Accuse its publisher of media bias. “Biased media” is a term that implies a story didn’t tell the whole picture in an attempt to influence an audience’s opinion. 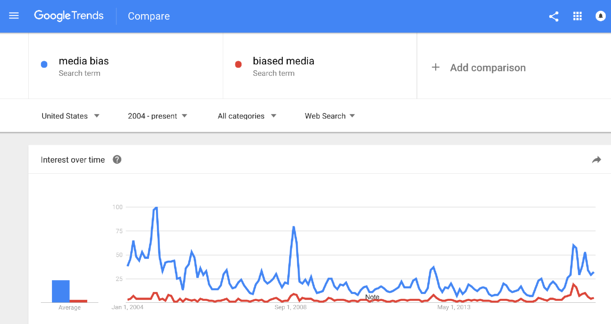 In the U.S., searches for “media bias” and “biased media” spike in October and November of presidential election years. In 2017, the term spiked a second time, early into President Trump’s first term in office. Image via Google Trends. 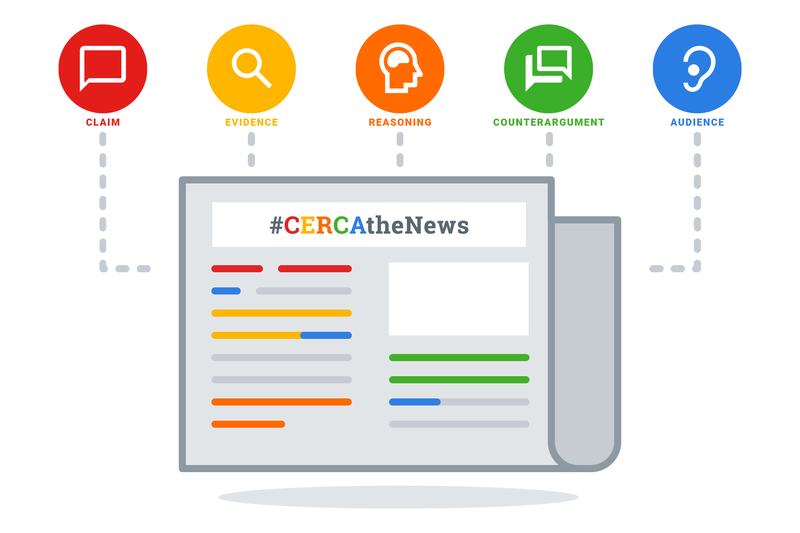 When we look for media bias, it’s important to examine news through the lens of C-E-R-C-A as a way to think critically about a news story’s central argument. What is the article’s claim? Is the article simply repeating a fact? That does not show bias. Is it offering an interpretation of facts? That could show some bias, depending on the language and evidence employed. What evidence does the article reference? Can we be sure this evidence is legitimate? Does the publication have a record of trust – can we be reasonably sure it won’t leave out necessary context? What reasoning does the author use to connect the evidence to the claim? Does the author do a good job of explaining why the evidence supports the claim, or does it seem as though they’re stretching to make the connection? Does the story bring up counterarguments? 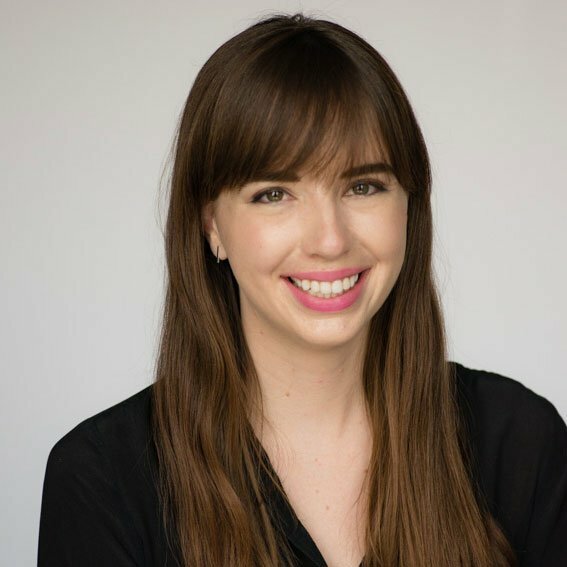 It’s important to acknowledge differing interpretations of a story, and to interview individuals who represent varied backgrounds, experiences, and impacts related to the story. Otherwise, the article might be written to only reflect one viewpoint. If the audience is a niche group or a group with homogenous political viewpoints, it could be a red flag that content is intended to agree with their views – thereby satisfying the audience’s desire to hear news that confirms their opinions. What kind of audience language does the story use? If an article or TV segment uses offensive language to describe a group of people or opinions, it likely is a display of bias. But are stories with media bias always wrong? Stories, journalists, and publications are prone to bias. It’s human. Those who have covered a topic in-depth might be even more prone to bias, as they have researched a topic’s varying sides and had more time to analyze, reflect, and come to a conclusion on its impacts. Reporters who live and work in areas dominated by certain viewpoints might also have unconscious biases that reflect those of their community. Sometimes, we might find that bias in a story is permissible. If an article covers bullying, for instance, and the reporter inserts a line to say that children should never be bullied – well, the reader might find that type of bias (bias against bullying) to be acceptable because it is empathetic and reasonable. As long as the reporter shares all the facts, the story might be accurate and take a stand on an issue. Although we might not always agree with the position the author or publication takes, we can still confirm the accuracy of reporting. It is important, however, to recognize whether or not bias gets in the way of truthful reporting. Some posts are careless with research, or intentionally discredit alternative viewpoints. They end up distorting the truth. Therefore, examine the audience language and evidence used. Is a claim made? Are counterarguments acknowledged? Is the reasoning well-informed? This framework will help us to assess not just a news story, but also the central theme of a novel; the argument of a science report; the proposal in a letter to the editor; the source of a friend’s contrary opinion. When searching to get a full picture of the news, the best thing to do is to get our news from various sources with a track-record of transparency and impactful reporting. And to understand counterarguments better, we should try reading about a topic from a publication with clear opposing views. Although we must keep in mind that this source may attempt to persuade us of a particular conclusion, it will give us a decent idea on why not all people agree with another article’s interpretation, and how certain language can distort the truth or discredit alternative perspectives. It’s okay to call out a story for having bias. But it’s a serious accusation and shouldn’t be the first reaction. We must make sure we know all the facts and have analyzed a story’s C-E-R-C-A before claiming bias.